A documentation of the Swedish glass master’s hot cast process, elemental imagery, and twenty-five finished works created while in residency at Bullseye Glass Co. Essay by Suzanne Greening, former director and CEO of the International Glass Museum. 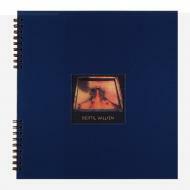 1997, hard cover, spiral bound, 44 pages, color.